At only nineteen years young, the future for Belgian born, UK singer/songwriter Moli is beyond bright. 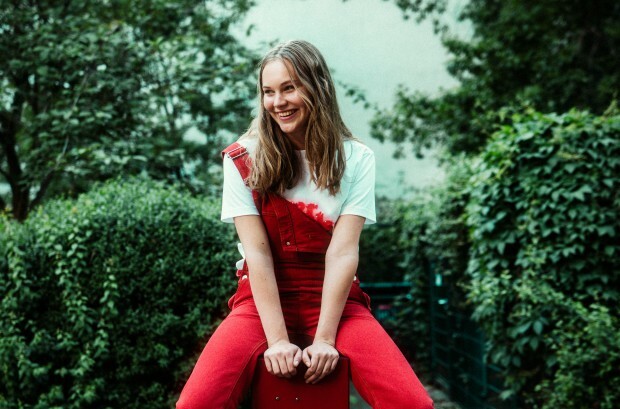 Combining her vibrant and fascinating storytelling with a vocal style that’s completely refreshing from her contemporaries, Moli is cementing herself within the ranks of tomorrow’s indie-pop elite. With the release of her debut EP ‘Résumé’, it was also announced that she’s been signed to Sweat It Out. We have a quick chat with Moli following the release. To start, let’s go back! What encouraged you into the music industry? I have always dreamed of becoming an artist. I got introduced to the music industry thanks to my manager who found me on Soundcloud. He brought me over to Berlin to get into the studio. I completely fell in love with writing music and couldn’t stop from that point. How does it feel to have your EP ‘Résumé’ introduced into the Australasian area? It feels amazing and I am so happy to get to share my music with this part of the world that feels so far away from me. How did the signing with Sweat It Out happen? The SIO crew discovered my EP and played it on repeat in their office which made the whole team love it. So they contacted us via our label Majestic Casual and asked if we would be interested in re-releasing the EP via Sweat it Out in Australia. We loved the idea so we agreed on the license and here we are. Really happy to be part of the Sweat family now in Australia & NZ. Who do you listen to mostly? What’s your music taste? I listen to a lot of different genres like pop, indie, Neo soul, Rnb etc. All depending on my mood and the weather really! Currently I have been listening to Parcels, Frank ocean, Billie Eilish and Bruno Major a lot. Your EP has a unique style, was this the plan from the beginning? I experimented a lot before finding this particular style! I worked with many different people which allowed me to grow and find my own way. I got together with the producer of my EP in the summer of 2017 for a session and we wrote “comfortable”. From that day onwards, I knew that we were onto something so we got back into the studio and wrote the rest of the EP. Was there any direction from Sweat It Out or Majestic Casual Records in relation to your style and music? Not really on the creative side. I had the liberty to do my own thing and come up with my own ideas witch as an artist I appreciated very much. I’m currently in the writing process for my next EP witch I am really excited about! New music will be coming very soon!